A Selfie — Of My Personal, Unfiltered Self-Image. 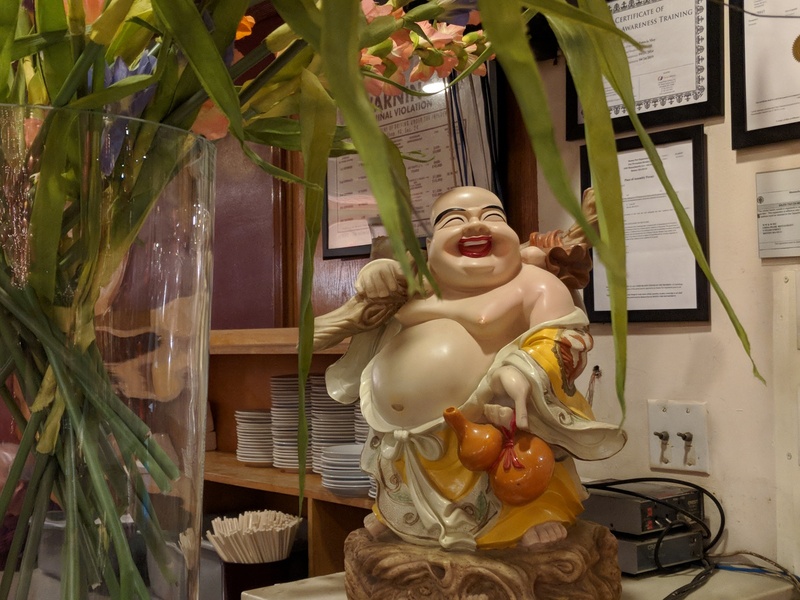 This statue, at the ‘China Pearl‘, in Chinatown, Boston, ALWAYS reminds me of what I think of myself. It is NOT of the laughing Buddha — that a contradiction in terms that I will not get into here. This guy in going on a picnic. This is how I have seen myself all my adult life — fat (actually obese), grin on my face and a flagon of wine at the ready. Not a great life, but the wine helps with the grin.